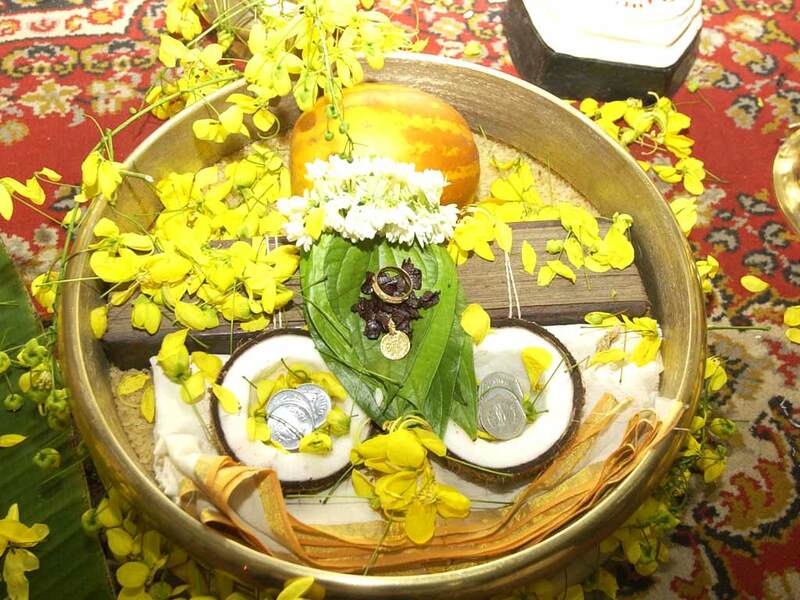 Among the various Hindu festivals in Kerala, Vishu is unique. This is a symbol of the unostentatious Malayali and so Vishu is free from the usual pomp and show and merry-making associated with other festivities. Secondly, this one has nothing to do with religion. Also the first day for Medam is the unchangeable day of Vishu, whereas other festivals are determined according to the lunar asterisms on which they fall . Vishu is a new year festival celebrated in the state of Kerala, India. This occasion signifies the Sun’s transit to the zodiac – Mesha Raasi (first zodiac sign) as per Indian astrological calculations and astronomically represents the vernal equinox. “Vishu” in Sanskrit means “equal”. Therefore Vishu is more probably denoting one of the equinox days. 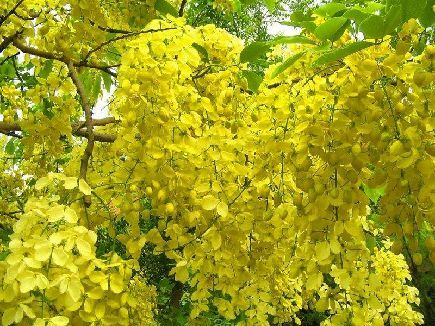 Although Vishu (first of Medam) is the astrological new year day of Kerala, the official Malayalam new year falls on the first month of Chingam (August – September). However, 1st of Chingam has no significance either astrologically or astronomically. Chingam is the harvest season in Kerala and southern parts of coastal Karnataka. The Malayalam word kani literally means “that which is seen first,” so “Vishukkani” means “that which is seen first on Vishu.” Arranged in the family puja room the night before by the mother in the family, the Vishukkani is a panorama of auspicious items, including flowers, fruits and vegetables, clothes and gold coins. In Jyotiṣa(Indian astrology), Vishnu is seen as the head of Kaala Purusha, the God of Time. As Vishu marks the first day of the Zodiac New Year, it is an appropriate time to offer oblations to Hindu Gods. 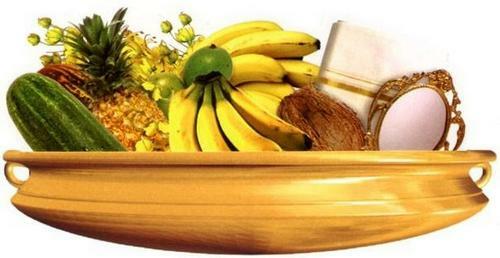 Vishu is traditionally celebrated as the Malayalam New Year, especially in the central and northern areas of the state. However, Chingam (August – September) is officially the first month of Kollavarsham, the Malayalam calendar. First day of Chingam is of no particular significance astrologically. The Vishukkani, also called Kanikanal, is inseparable from Vishu. According to the age-old belief of Malayalees, an auspicious kani (first sight) at the crack of dawn on the Vishu day would prove lucky for the entire year. As a result, the Vishukkani is prepared with a lot of care to make it the most positive sight so as to bring alive a wonderful, propitious and prosperous new year! Normally, the responsibility to put the Kani in order falls on the experienced shoulders of the eldest lady of the house. A traditional Kani is prepared as described below. There could be minor deviations from place to place. There are also beliefs that if you do not see a proper Vishukkani, then you will lose a year from your life or have bad luck, depending on how much you see. The Malayalis believe that the fortunes for the year depend upon the nature of the object one sees first in the morning of Vishu Day. So preparation is everything! . Raw rice is put in a circular bell-metal vessel known as ‘Urule’ and over it a folded newly washed cloth is spread. A golden coloured cucumber, betel leaves, betel nuts, metal mirror, yellow flowers of Konna tree (cassia fistula), a Grandha (book of palm leaves) and a few gold coins are then placed over the cloth in the vessel. Then some oil is put into two coconut halves, a few wicks are lit and this illuminates the goodies inside. A metal lamp filled with coconut oil is kept burning by the side of the vessel as well. The morning of the Vishu at about 5 O’clock, one of the members of the house, usually the eldest female member, not surprisingly, lights the lamp and looks at ‘Kani’ ( an omen). She wakes up other members, one after another and the Kani is shown to everyone of them, taking particular care not to allow anyone to look by chance at other things. Even the cattle are not deprived of the privilege, as the Kani is taken to the cattle-shed and placed before them to have a dekho. The eldest member of the family takes some silver coins and gives them to a junior member with some raw rice and Konna flower. This is repeated in the case of other members and they in turn give such handsel to their juniors, relatives, servants etc. 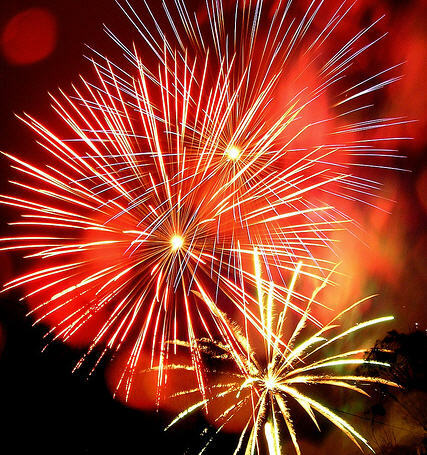 After this the children begin to fire crackers. In the morning then it’s all talk, bath and people put on their forehead the marks of ashes and sandal paste and go to the temple for worship. After worship, they prepare a feast which is moderate and elegant.In certain parts of Kerala, where the paddy cultivation commences after the monsoon, there is an observance called chal (Furrow) closely associated with Vishu . This is nothing but the auspicious commencement of the agricultural operations, in the new year .